Adelaide Celebrant service Simple Weddings provides Australia’s best value Monday to Friday weddings, combined with unmatched fast service. As a Celebrant with over 11 years experience, Simple Weddings understand that many couples simply want to get married, as quickly and inexpensively as possible. Other Adelaide Celebrants simply can’t compete! In fact, Wedding Celebrants Australia wide know that Simple Weddings – non religious celebrant provides absolutely unbeatable value. If you’re looking for an Authorised Celebrant, perhaps you’ve spent hours scrolling through a list of Celebrants in Adelaide. Perhaps you were looking for Celebrants Adelaide and hoping to find the Best Celebrant in Adelaide. 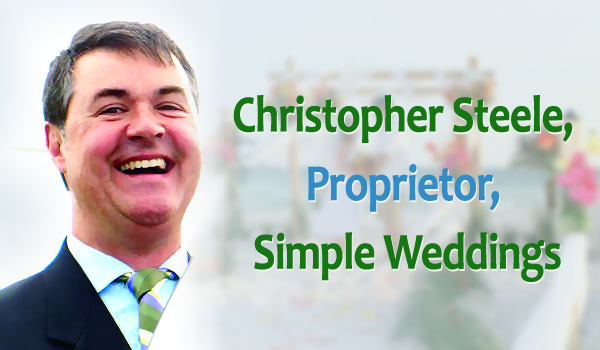 Let’s face it, to find a wedding ceremony celebrant who is affordable and furthermore fast, is not that easy. After all, there are hundreds of Adelaide Celebrant offerings and most charge an arm and a leg. Furthermore, some can be easy to get along with, others less so. In addition, it’s often the case that you will find a celebrant who is distant, unapproachable or even grating. That’s why it’s a relief to find a celebrant who makes you feel totally at ease; and a celebrant service which offers you a relaxing, pain-free experience! Instead, simply Hire Celebrant service Simple Weddings and as a result, you’ll have chosen a friendly, professional and so quite possibly the best celebrant in Adelaide. Most of all, Wedding Celebrants South Australia wide agree that for a Wedding Celebrant Adelaide loves, you’d be hard pressed find a better nonreligious Wedding Celebrant than Simple Weddings. Simply provide your contact details to your right and Simple Weddings will especially get in touch to arrange everything. Promptly, easily and at Australia’s best price.